Venezia Unica Ticket office at Piazzale Roma is open from 7.30 to 19.30 daily. Vaporetti are regular public transport in Venice and operate all year round. We are comparing Venice Public Transportation Ticket Prices from leading ticket suppliers and Try to find you Cheap tickets prices on the market. Travelling in Venice couldn't be simpler with an unlimited public transport pass. Simply scan your QR code at any of the yellow ticket machines or drop into one of the Venezia Unica offices to collect your ticket and start cruising the canals. There are several stops across the city, Vaporetti function in the same way as metro's and buses, except that they are on water and travel between fantastic baroque, Byzantine and gothic architecture. Each Vaporetto stop is located close to one of the city's major attraction or museums, so this is the best way to get around the city, especially for wheelchair users or anyone travelling with young children. Forget getting lost in a maze of narrow streets and tiering your legs crossing bridges because Venice's unique public transport is both practical and user friendly. With this pass you'll also have access to islands on the Venice Lagoon including Murano, known for its glassblowing workshops, Burano, for its lace, Torcello, the oldest of the islands and Lido, with a pleasant promenade and sandy beach. If your accommodation is in mainland Venice then you can also use this pass to travel between Mestre, Marghera and Venice city centre. This pass is aimed at people who want to see a lot of the city of to visit the islands'. Ideal for independent travellers but also very convenient for people with walking difficulties or parents visiting with young children. Your Experience With Venice Public Transportation Ticket? Enjoy unlimited use of public transport around the Venice Lagoon, including Vaporetto to all locations in Venice City, Lido, Torcello, Murano and Burano, as well as buses Mestre and Marghera (Venice Mainland). Travel stress free and with flexibility with a 24, 48 or 72 hour pass. What Venice Public Transportation Ticket Includes? 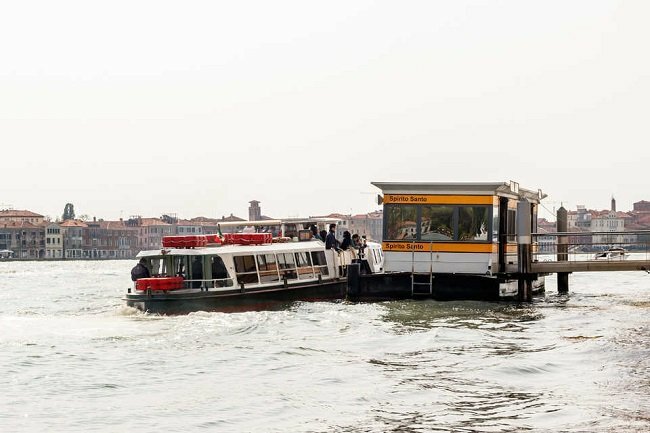 Unlimited access to public Vaporetto on Venice, Murano, Burano, Torcello and Lido, and Mainland Venice (Mestre and Marghera) for 24, 48, or 72 hours (depending on ticket purchased). 1 piece of luggage per passenger. Check the ACTV public transport maps to see the vaporetto and bus routes. Pick up a public transport map at any of the tourist information or ticket points. Pick up your pass at the Piazzale Rome so that you can use it to reach your accommodation with your luggage. Travelers Reviews about Venice Public Transportation Ticket? This handy ticket has full 5 out of 5-star review on Tiqets.com. Travellers have said that the pass is very easy to use. Some comments say that it is just as easy to purchase the ticket from a machine on arrival but buying online can save you some time. Wheelchair accessible, wheelchair users have discounted fares and carers travel free. Tickets can be collected from any of the Venezia Unica offices or Vaporetto ticket machines by scanning the QR code. Many Vaporetti lines operate 24 hours however boats are less frequent and some lines stop overnight. Tickets are valid from first use, not from date of purchase. Tickets are not valid for Airport transfers Alilaguna or Casino lines or for lines 16, 19 or 21. Main ticket collection point: Venezia Unica Ticket Office, Piazzale Roma, Venice.